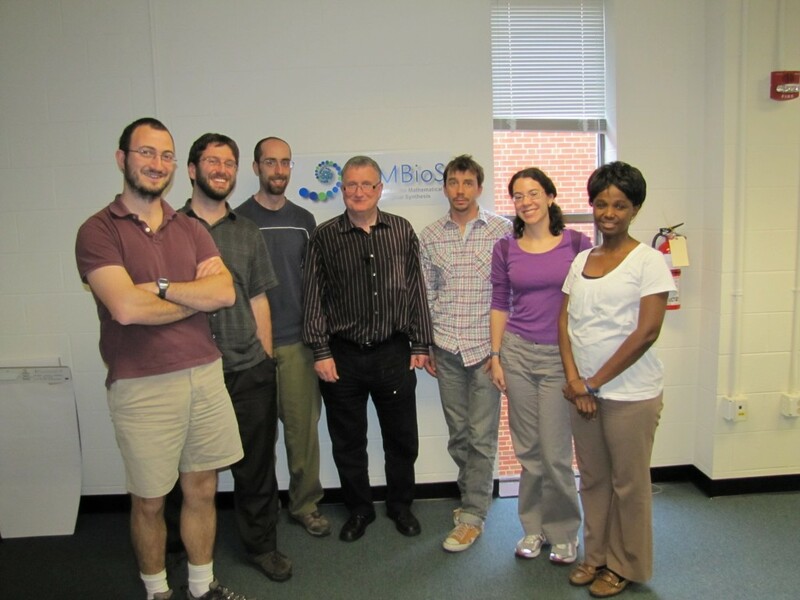 Dr. Peter Hammerstein from the Institute for Theoretical Biology at Humboldt University in Berlin was NIMBioS’ Postdoctoral Fellows Invited Distinguished Visitor at Tuesday’s Interdisciplinary Seminar. Hammerstein investigates the evolution of living organisms using evolutionary game theory. In his talk, “Manipulative strategies and their evolution,” Hammerstein discussed how manipulative strategies affect the decisions of others to one’s own advantage. Using parallels in biology, Hammerstein discussed how microorganisms often manipulate regulatory networks of their hosts in ways that are “strategic” and are based on subtle interference with these networks. Taking the analogy further, Hammerstein gave examples of the ways in which plants, such as Nicotiana tabacum or cultivated tobacco, manipulate brains. This entry was posted in game theory, postdocs, seminars and tagged game theory, postdocs, seminars. Bookmark the permalink.